What better way to create a beautiful portrait by integrating your subject with the surrounding scenery? This bench is located in a fairly remote spot very close to the Florida everglades. It provided a great prop for my model Erica Berger to lay on and keep still as I snapped away. Untitled, a photo by Roberto_Aloi on Flickr. Anyone who knows me knows I am not terrible fond of using flash. 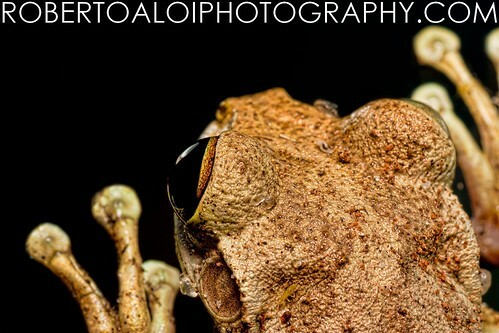 I have a speedlight, studio strobes, and all the tools necessary, but would rather not rely on them when possible. This particular rainy day had little offer in the way of light. Pair limited outside light to even less light in an abandoned home with no electricity and you have a challenging situation. You always have some choices in low light. Sure you can bump up your iso, but unless you have a full frame or like sacrificing image quality that’s simply not an option for optimal results. You can also keep your shutter open longer, use a tripod (absolute MUST) and in this case why not light some candles. This took numerous tries due to the long exposure time, but eventually we nailed it. Through the Trees, a photo by Roberto_Aloi on Flickr. Another from Tiffany’s childhood home. She asked to be taken on the front steps, but asked to please leave the leaves in the photo. I like how it turned out. I could not have asked for better lighting. This particular photo session had it’s challenges and hazards. It was a typically hit or miss rainy day here in south Florida. Tiffany chose her photos to be taken at the house she spent most of her childhood in. While the state of the home has changed dramatically, it did offer a wonderful setting for beautiful images. This was one of the last photos taken on this particular day. 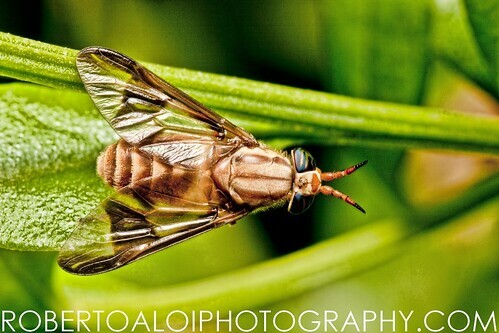 Chrysops – Deer Fly, a photo by Roberto_Aloi on Flickr.